Green Milk: It does a Jedi body good! 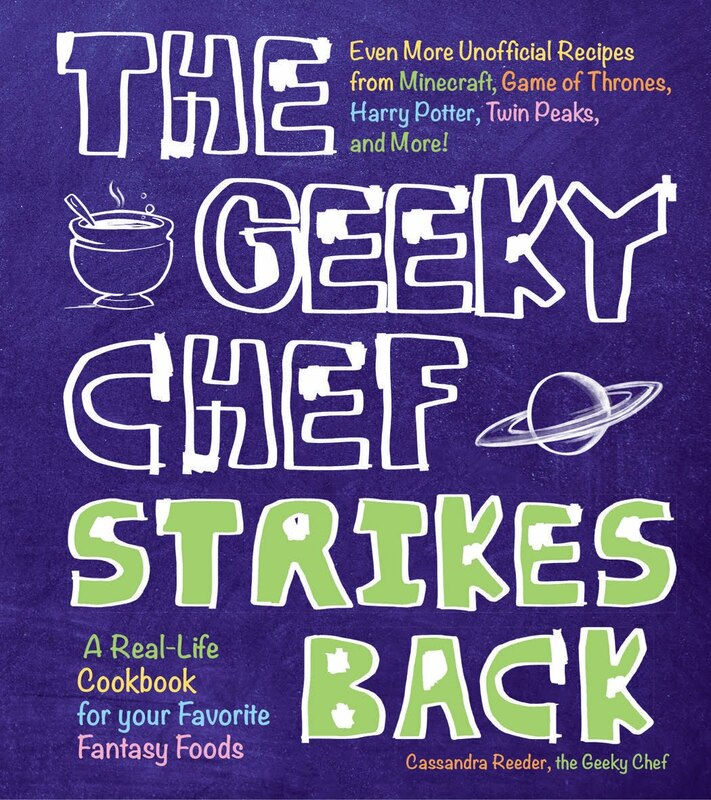 This one appeared in a particularly awkward and bizarre scene in the beginning of The Last Jedi, shortly after Rey finds Luke Skywalker living a hermitic existence on a secluded island on the planet Ahch-To. On this island, creatures called Thala-sirens enjoy basking in the sun on the cliffsides. Female Thala-Sirens produce a green milk from their, um, udders, and this seems to be the primary source of hydration and nutrients for Luke Skywalker during his time there. This is probably a throwback to the Blue Milk aka Bantha Milk from Episode IV. 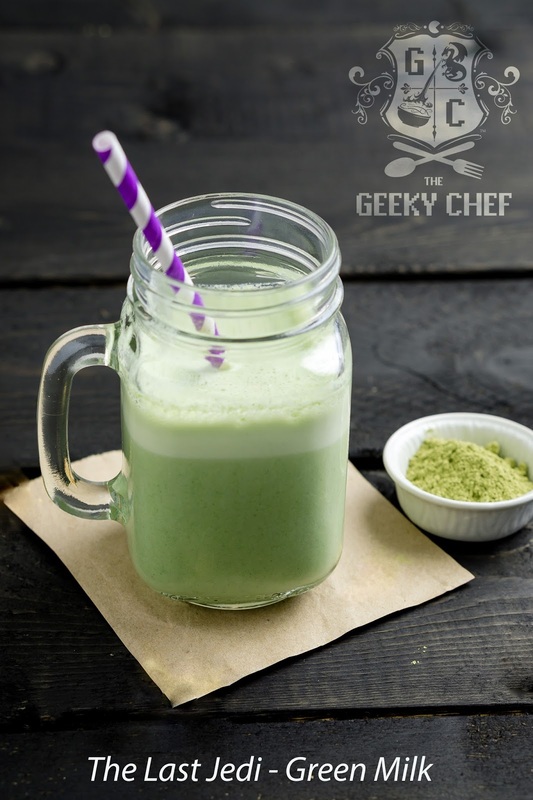 This recipe features nutritious matcha green tea for it's energy boosting effects, dense nutrient content and bright green color, plus a bit of protein powder to keep that muscle tone. 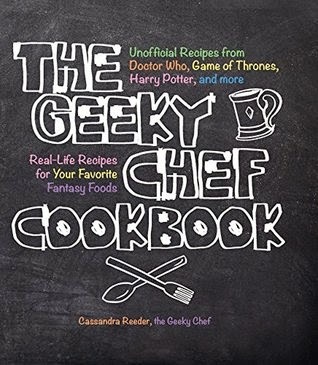 For more delicious Star Wars drinks, preorder a copy of The Geeky Chef Drinks! In it, I explore a couple of popular beverages (of the alcoholic variety) from Chalmun's Cantina on Mos Eisley, that wretched hive of scum and villainy. 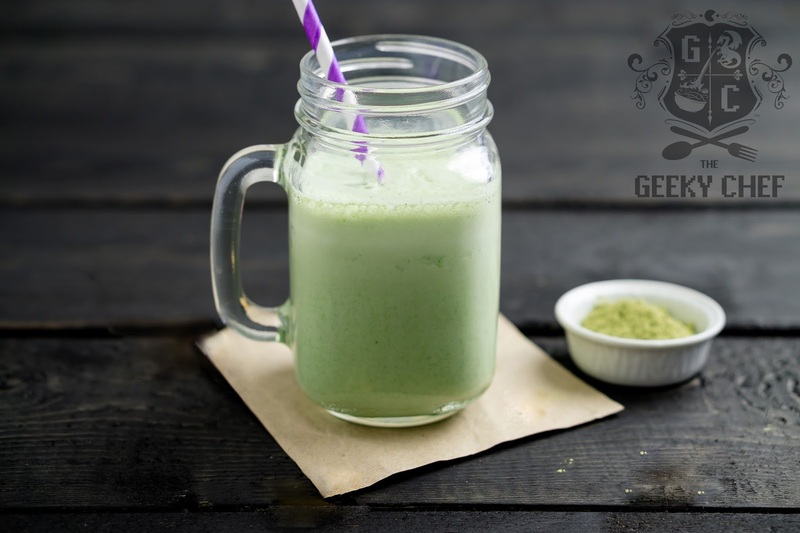 1) Add all ingredients to a blender and blend on high until thoroughly blended. 2) Pour into a serving cup and enjoy!